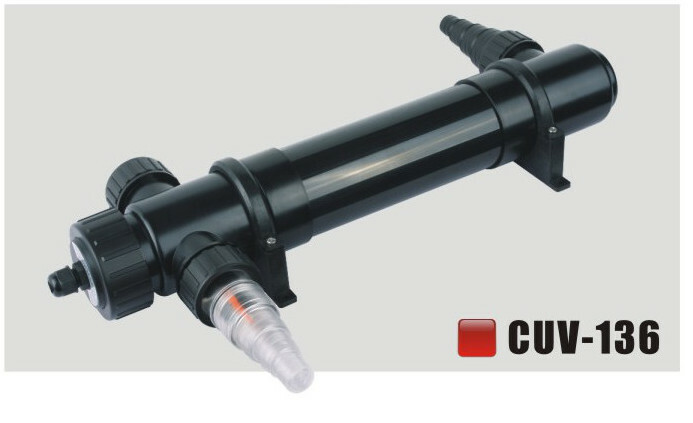 Ultra violet clarifier (UVC) consists of a UV tube seperated from the water by a quartz jacket. Water passing through this jacket is exposed to ultra-violet light emmitted by the tube. The light damages and disrupts the cells of algae, causing them to clump together and die. These large clumps of algae can then be removed from the water by a pond filter.